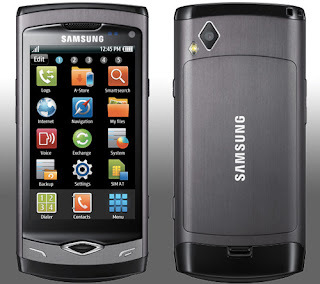 You start the update function of your smart phone Samsung Wave. However during the update, the device crashes due to an ‘Unexpected Error’. Even a restart does not help. the hassled user gets no messages for seconds or even minutes together – yes of course, even the connection between the two devices seems disrupted although it is very much in place in reality and the restoration process is also very much on. Thus when the yellow triangle displays that the connection is broken, follow the instructions provided by the Samsung management tool (Kies). First disconnect the connection cable, remove the battery from the smart phone for a few seconds and re-insert it. Press the keys [Volume], [Camera] and [OK]. An unusual image is now displayed on the phone, namely the ‘Download mode’ note in red font embedded in a blue box. Then reconnect the connection cable and start the Firmware Update normally. Don’t worry if the Samsung tool does not shows the connection. Only the usual progress bar needs to be displayed on the phone that shows the loading status of the new Firmware. If the software is completely loaded, you see the note ‘Firmware update is restored’ and then shortly after that ‘Update has been started’ . In case of an error when updating Bada, the recommended procedure is of definite help.